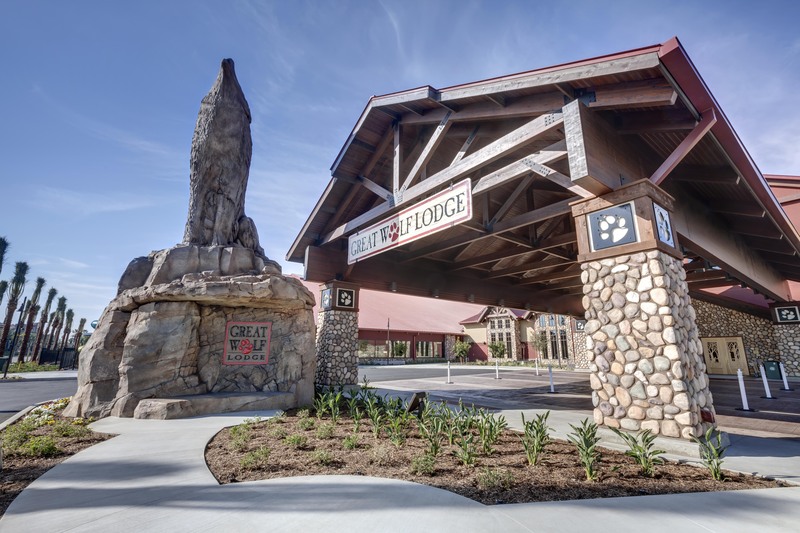 The Great Wolf Lodge Resort is the largest family of indoor water parks that opened in 2016 in Garden Grove, California. 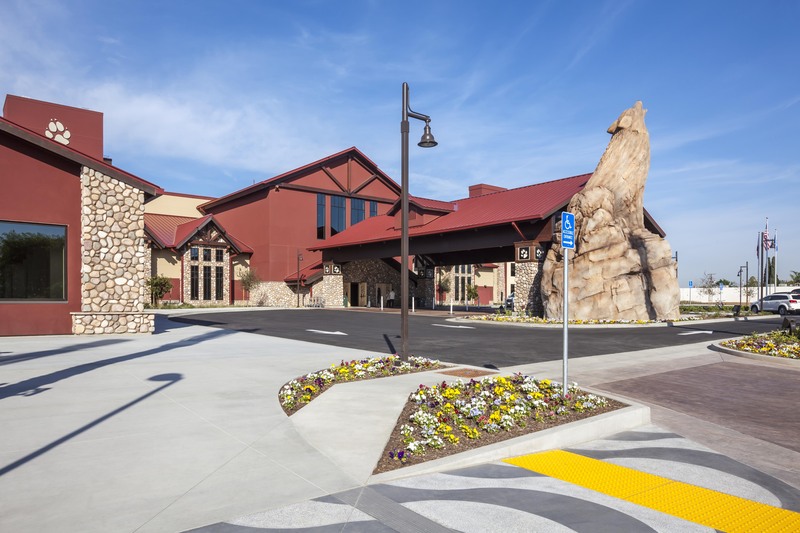 The 12-acre family entertainment resort has a hotel and conference center and is California’s first and only indoor water park. 18,000 square feet of retail and dining options make this truly a grand resort. Working with Ridge Landscape Architects, Bomanite Licensee Bomel Construction, employed the Bomanite Imprint System designed to fit with the incredible theme and very unique architecture. 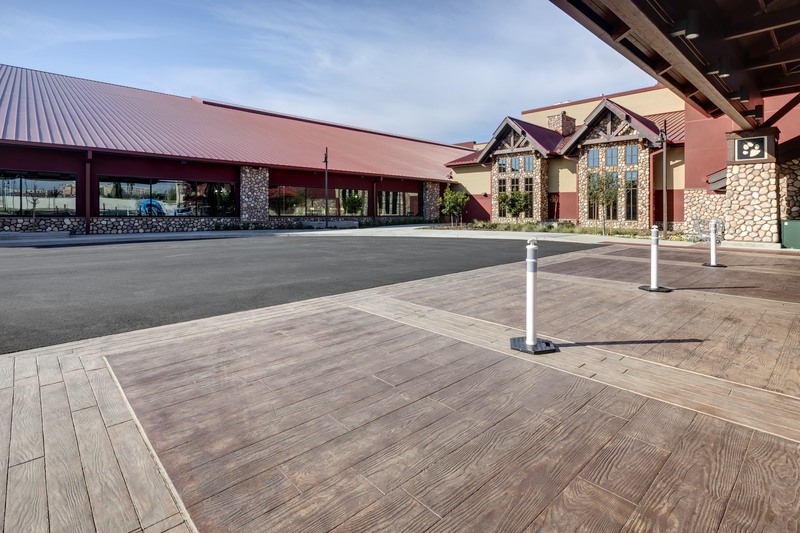 Multiple uses of the Bomanite Boardwalk stamp were installed at the entrances and entryways using a Bomanite Adobe Tan Integral Color and Bomanite French Gray Release Agent to enhance the Lodge woodsy exterior build. The Boardwalk Pattern was framed with opposing Bomanite Integral Colors and Bomanite Release Agent borders. 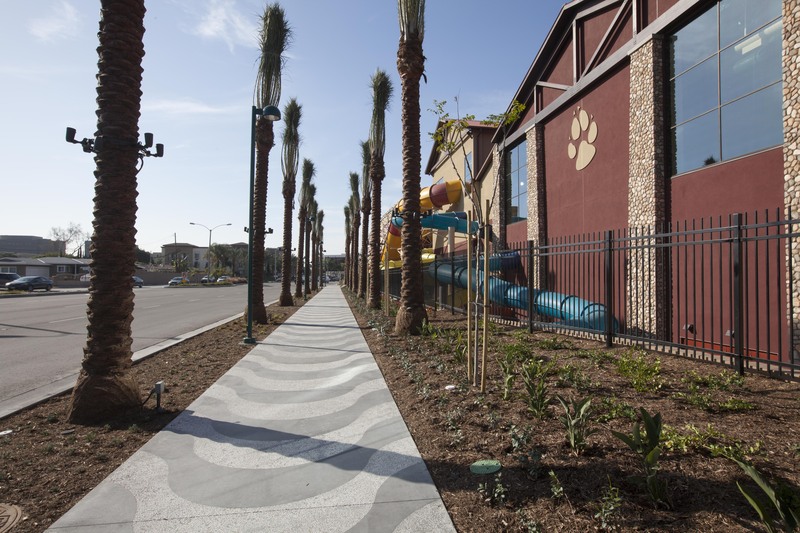 The Alicante pattern, resembling the flow of water or an incoming wave, provided a unique and interesting walkway that was seeded with 3/8” white china rock in dark gray and exposed with a light sandblast, mimicking water, sand and rock to invite the customer into the themed water park. 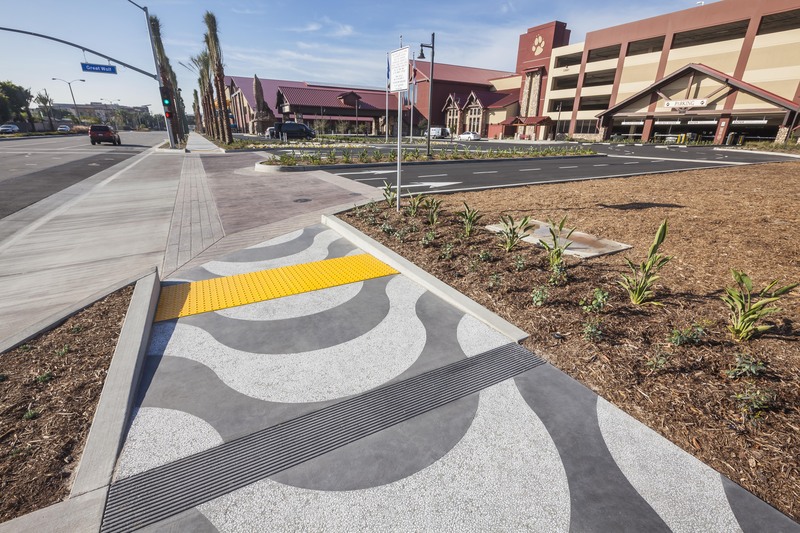 The Bomanite Imprint System adds a distinctive architectural touch to any project, together with the durability to stand up to the toughest traffic loads and environmental conditions. 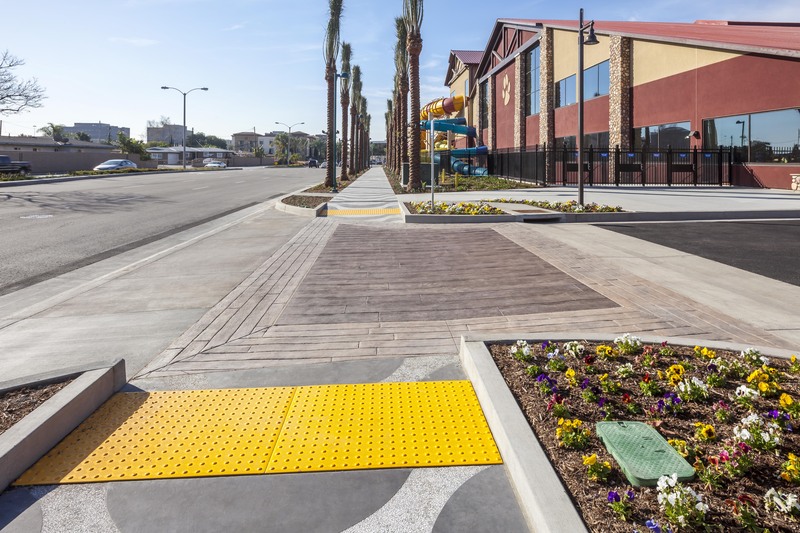 For over six decades, Bomanite Imprint Systems have offered homeowners and design professionals a virtually limitless palette of colors, textures, and patterns to choose from.